The short-lived reference 3449 of 1961. 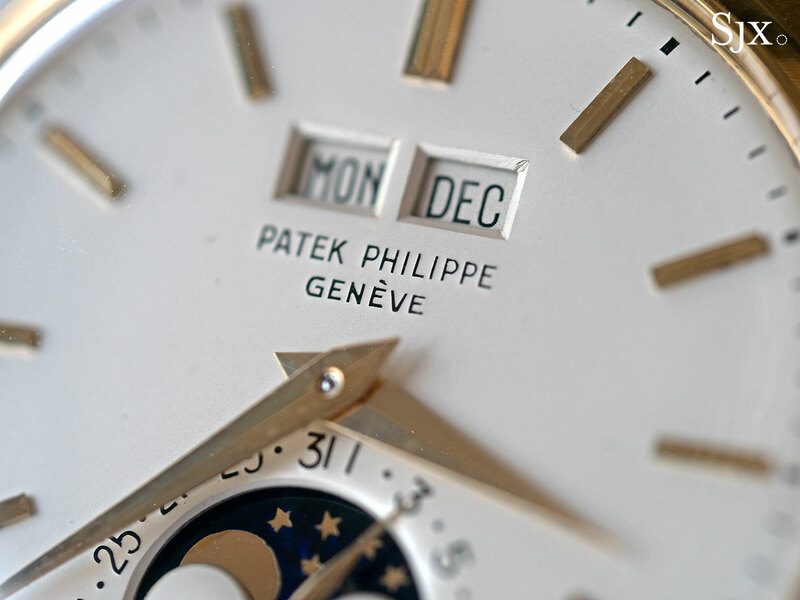 Only three of the Patek Philippe ref. 3449 were ever made. And this is one of them. The ref. 3449 is uncommon enough that it is not especially well known, particularly in comparison to its closest equivalents, the refs. 3448 and 3450. Each of the three ref. 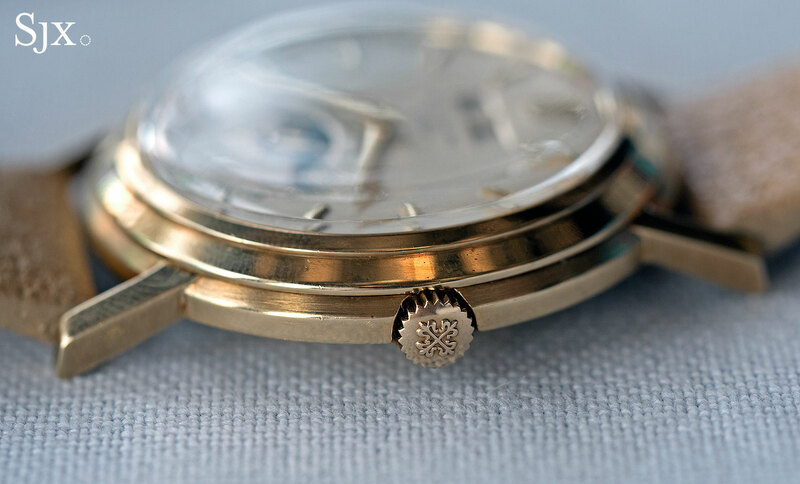 3449s made has been sold at auction in the last two decades (more than once for two examples), consistently achieving well over US$1m – it is a watch a small number of people will pay a large sum of money for. Beyond its scarcity, the ref. 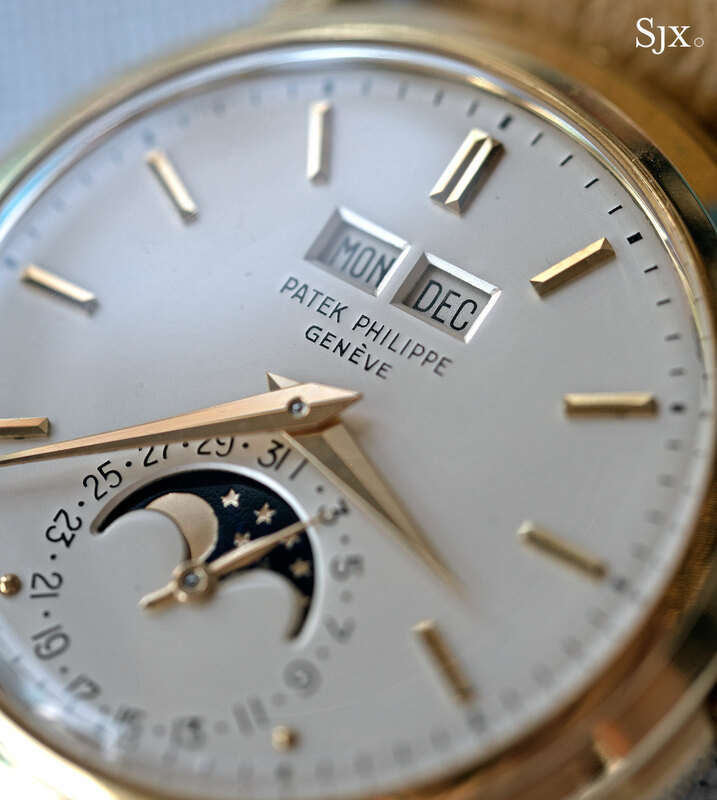 3449 is intriguing because it represents an aesthetic cul-de-sac for Patek Philippe. It’s a beautiful design that went nowhere. Distinct from other Patek Philippe perpetual calendars with its unusual case, the 3449 was made in 1961, just as production of the earlier ref. 2497 perpetual calendar was ending. 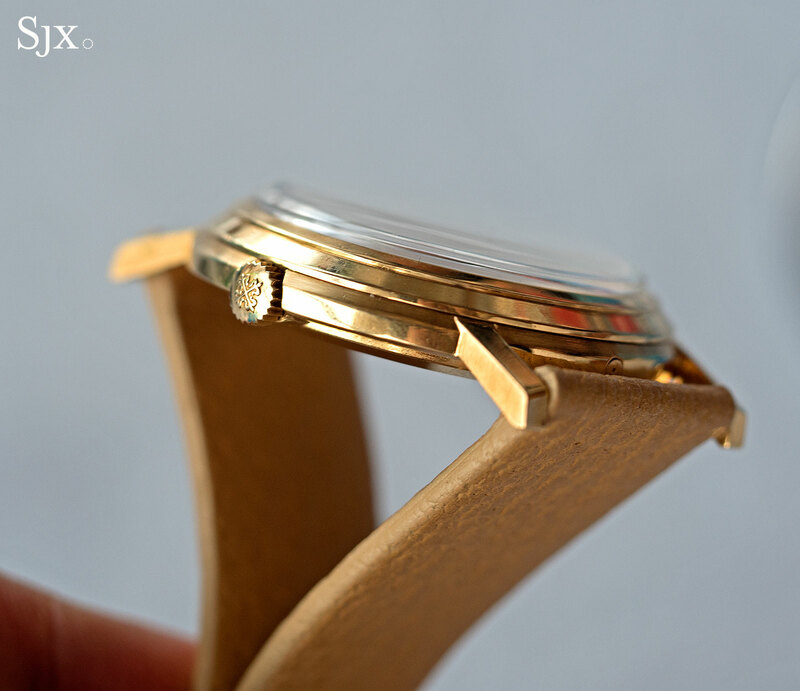 Its case is 37mm in diameter, with straight lugs and a thin profile, thanks to the smallish manual-wind cal. 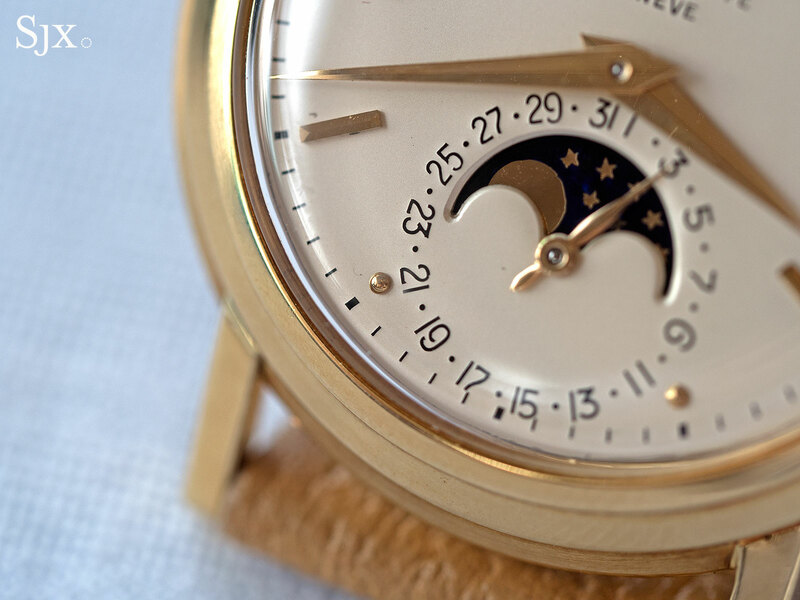 23-300Q movement inside (its contemporaries were powered by wider and thicker automatic movements). 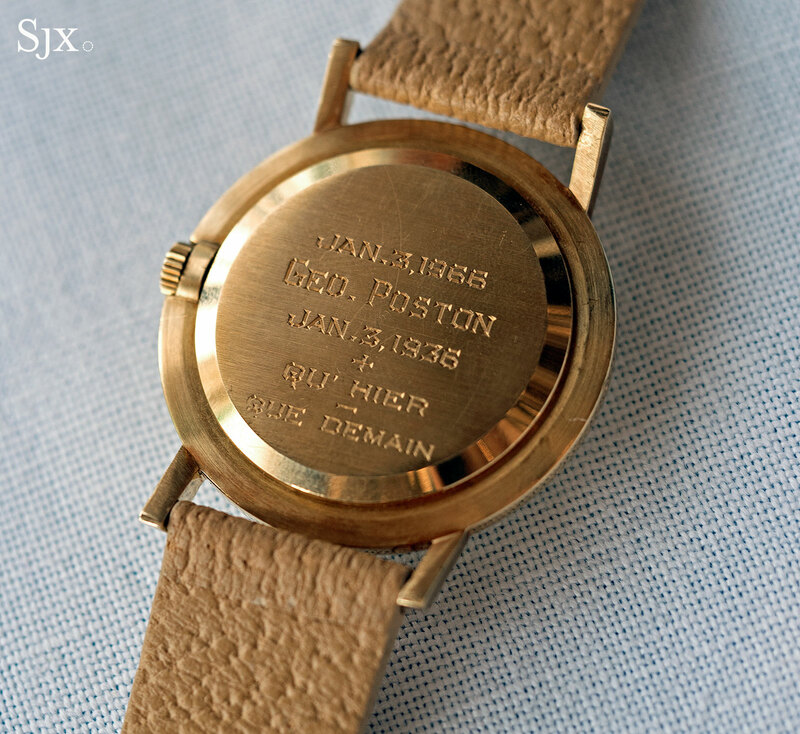 Described by Christie’s in 2014 as “produced [at the] special request of Henri Stern, wishing to test the demand for a large size but very flat perpetual calendar wristwatch”, the ref. 3449 probably met with a lukewarm response; the ref. 3449 pictured here was produced in 1961 and only sold in May 1965. A year after the ref. 3449’s brief tenure, the ref. 3448 was unveiled and went on to enjoy nearly 20 years in the catalogue, becoming the definitive Patek Philippe perpetual calendar for the period. Despite being exceedingly uncommon, the ref. 3449 has been thoroughly documented. Sequentially numbered on their movements 799000, 799001 and 799002, the three examples of the ref. 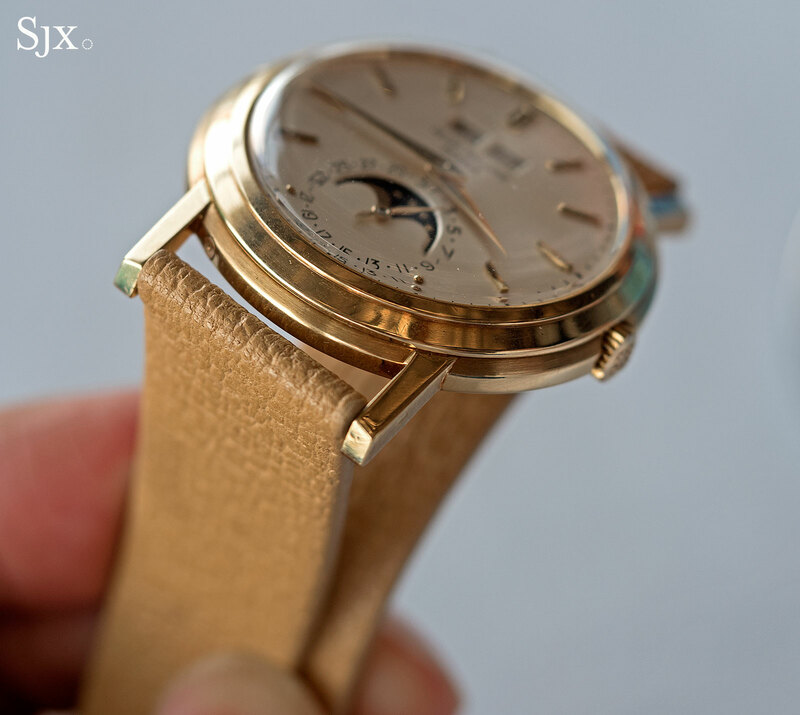 3449 all have yellow gold cases and silvered dials. 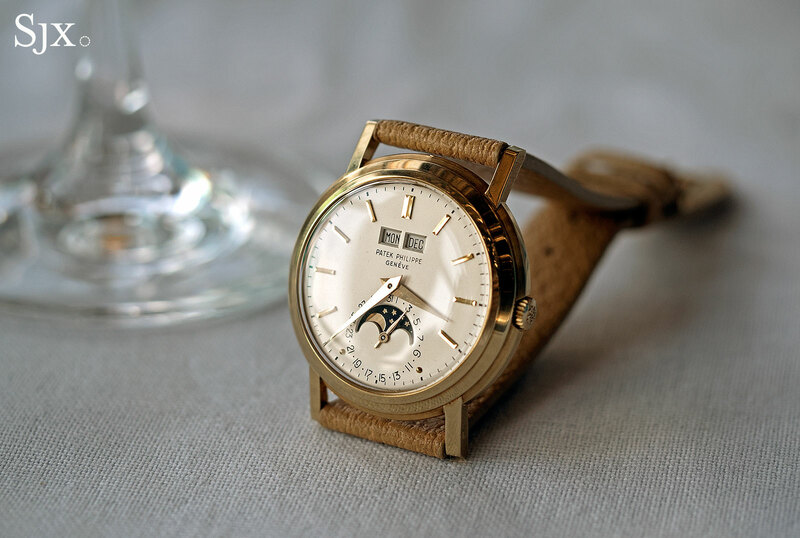 The second of the series, movement number 799001, was sold for almost SFr300,000 in 1989 at The Art of Patek Philippe thematic sale marking the company’s 150th anniversary. 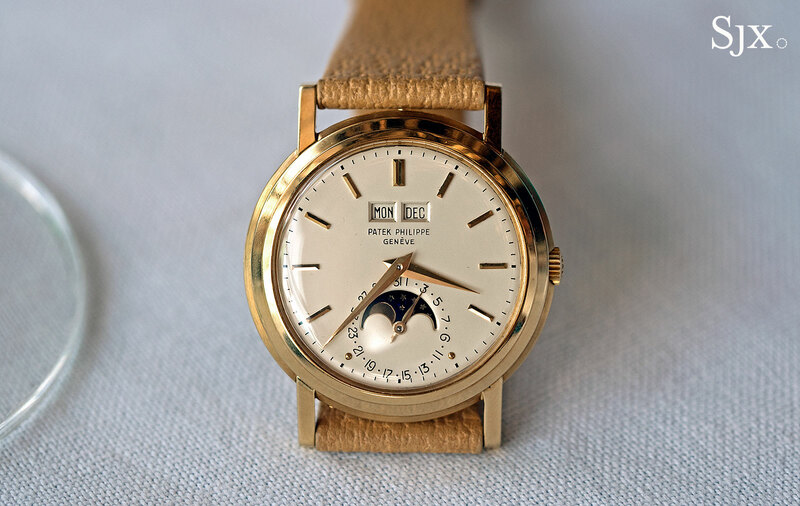 The buyer was the Patek Philippe Museum, which has had the watch on display since. And the example with movement 799000 was last sold publicly in 2011 for SFr1.43m at Christie’s in Geneva, and is now owned by an important collector. 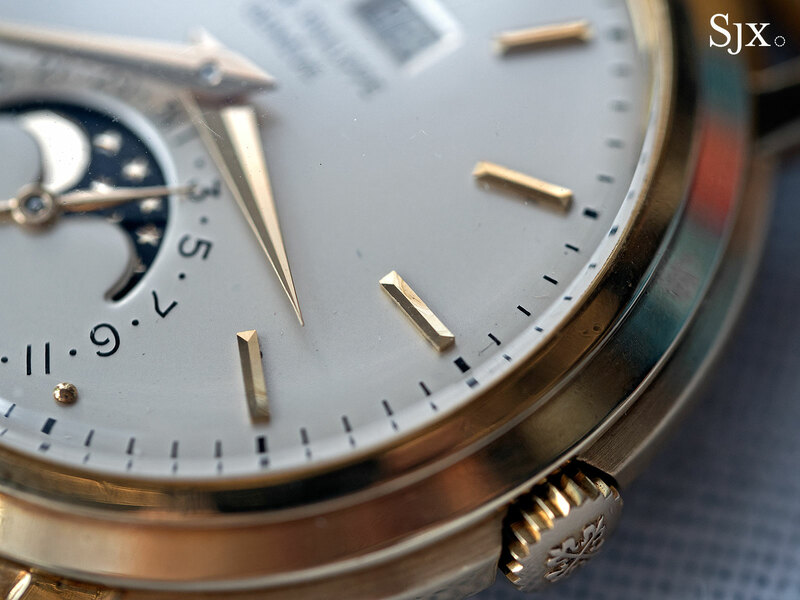 And then there is movement number 799002, which is inside the watch pictured here. Having changed hands at auction thrice in the last two decades, this ref. 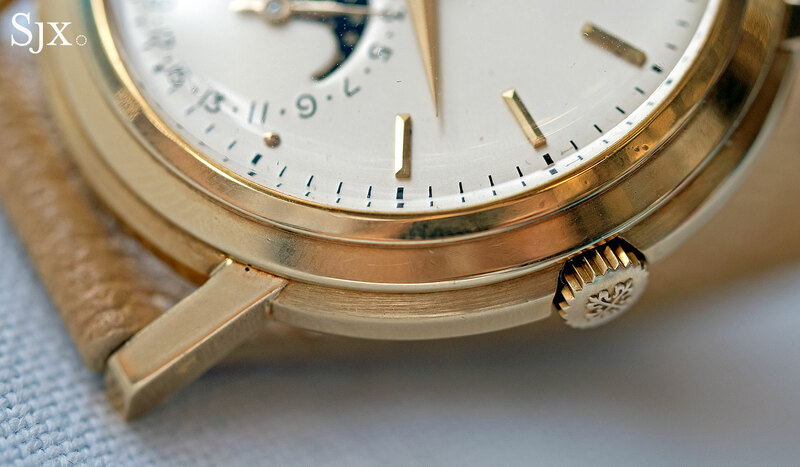 3449 was sold November 2014 at Christie’s Patek Philippe 175 auction, where it went for SFr1.21m. And not too long ago, the watch was acquired by the current owner, a collector who, to put it mildly, knows what he’s doing. In the metal the ref. 3449 is instantly identifiable as unique in form. 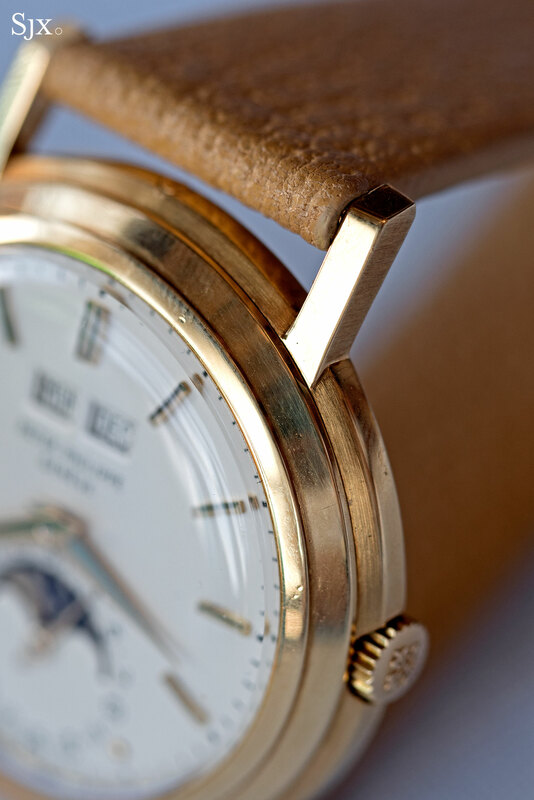 The 37mm case is large for the period, but the size is accentuated by the slimness and style of the case. Its is a classic flying saucer shape – tripled-stepped and downward sloping to a narrow rim, while the snap-on case back is convex. 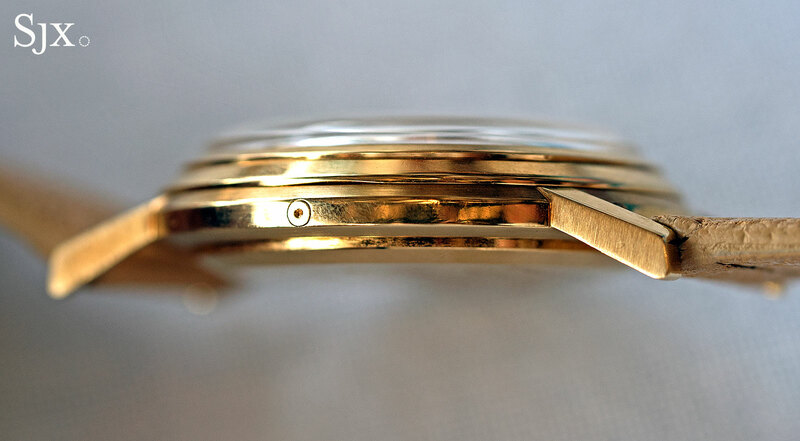 The stacked, sloping sides of the watch mean it sits thinner on the wrist than it looks in the hand. Though the case shape is faintly reminiscent of a handful of Calatrava models like the refs. 2429 and 3445 as well as the ref. 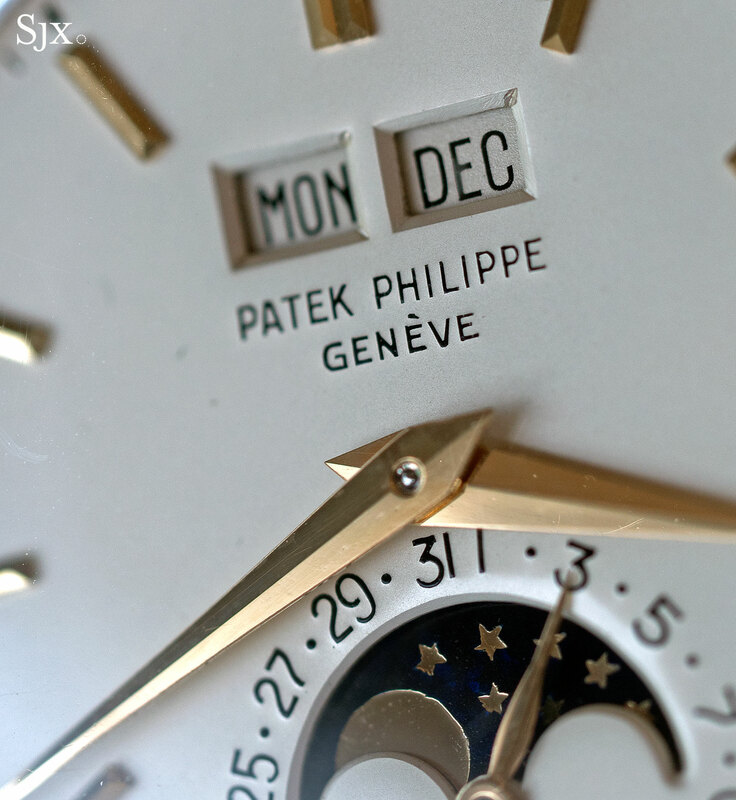 2551 “Disco Volante”, it’s unusual for a complicated Patek Philippe, maybe even avant-garde for the period. And the manually-wound movement is less convenient than an automatic, which is perhaps why it went to no further. 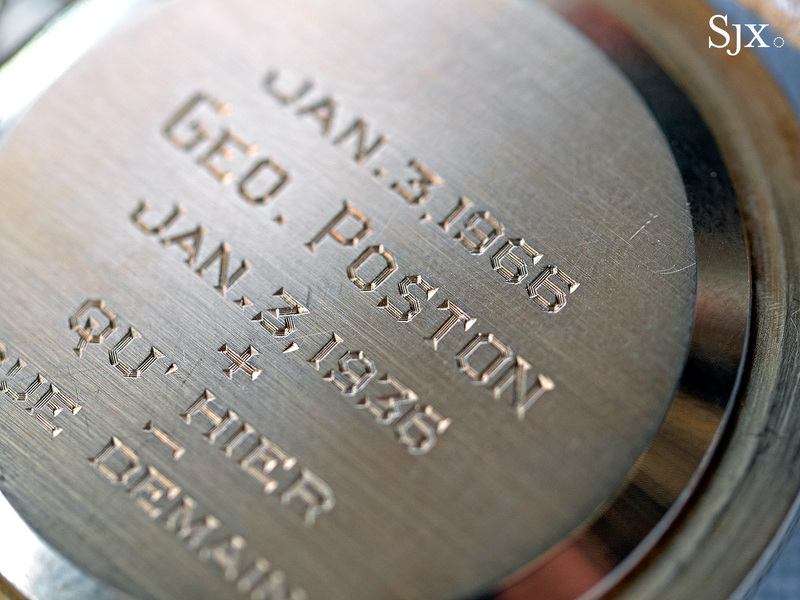 Notably, this example is engraved on the back with the name of the original owner, George E. Poston, the dates of his birthday and 30th birthday, as well as an abbreviated French phrase that translates as “Today more than yesterday and less than tomorrow”, borrowed from poet Rosemonde Gérard. A Texas real estate developer, George E. Poston bought the ref. 3449 – for US$5500 at the time – at Linz Brothers, a Dallas jeweller that was the biggest seller of Rolex watches in the United States in the 1950s. Now in his eighties, Mr Poston sold the ref. 3449 in the late 1980s, though he remembered it well and contributed to the Christie’s catalogue when the watch came to market in 2014. He was quoted in the catalogue as saying, “I have an investor’s mentality and a collector’s heart. I love history, French Impressionist paintings, cars, and watches. 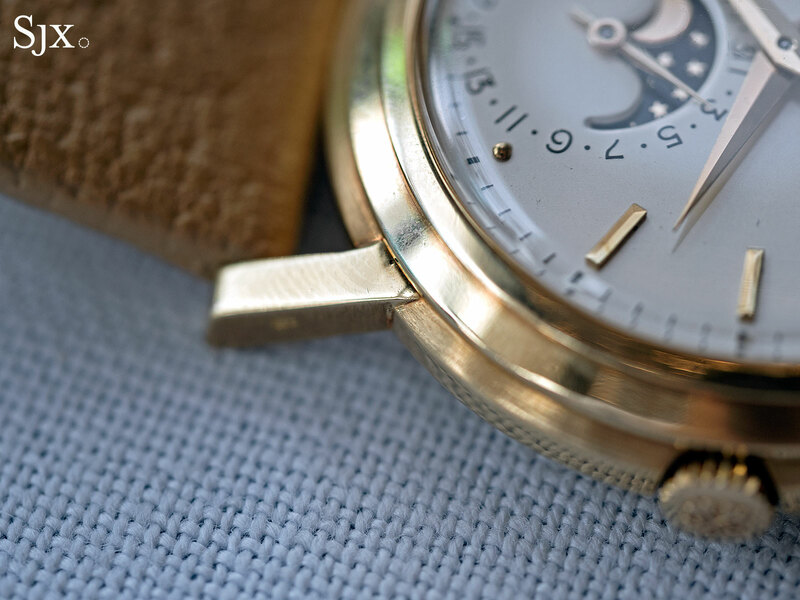 But if a stock goes up 1000%, I sell.” He still collects Patek Philippe watches today. 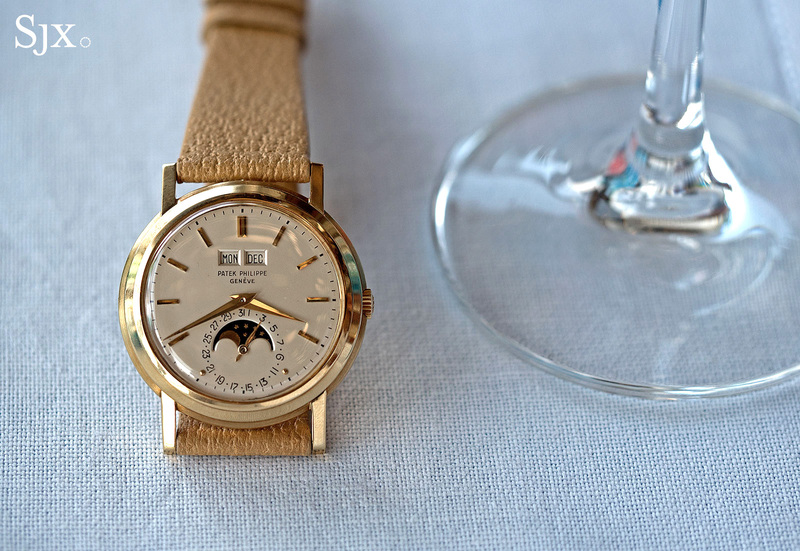 Though the watch has changed hands several times since it left the Linz store in 1965, it has remained in crisp condition. 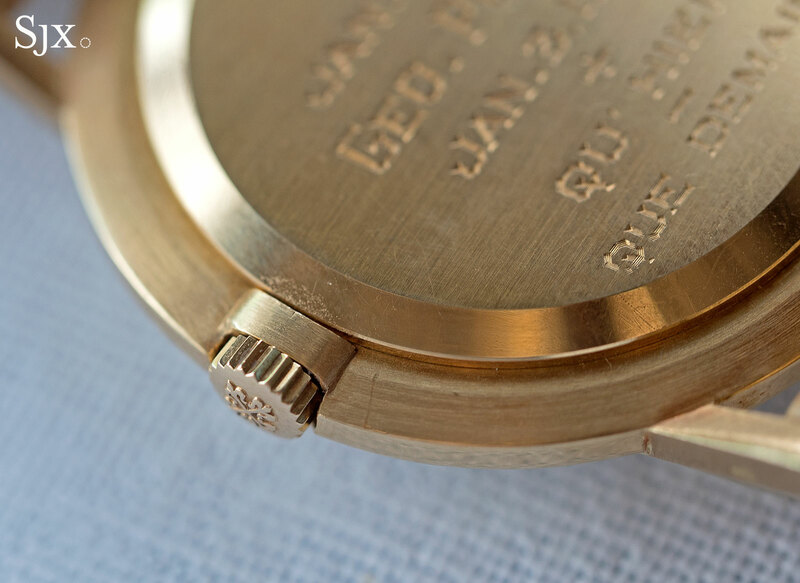 On the outside, the shape, finish and edges are correct, while the hallmarks and engraving remain strong. And the inside has been similarly well preserved. 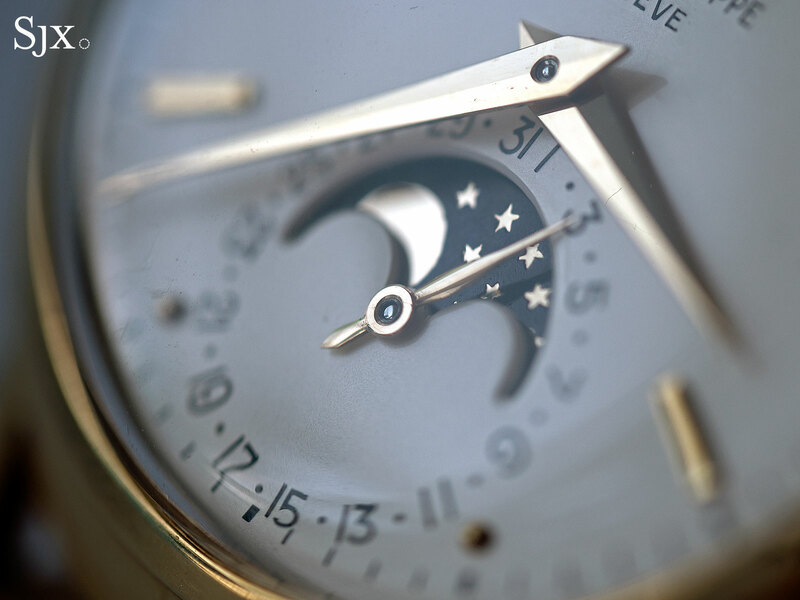 The dial is clean and original, with only the faintest of darkening of its silvered finish. 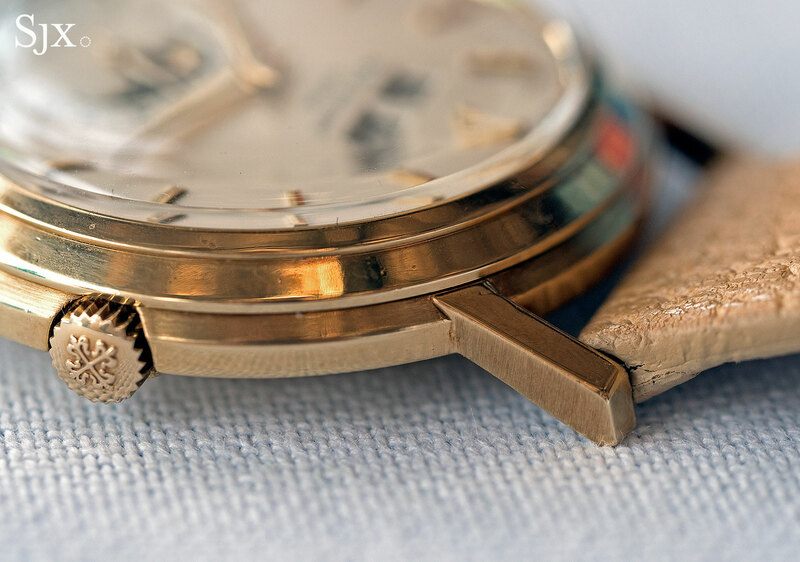 Now a permanent resident in one of the world’s finest watch collections, this ref. 3449 is in good hands. A modern watch in well tailored period dress.